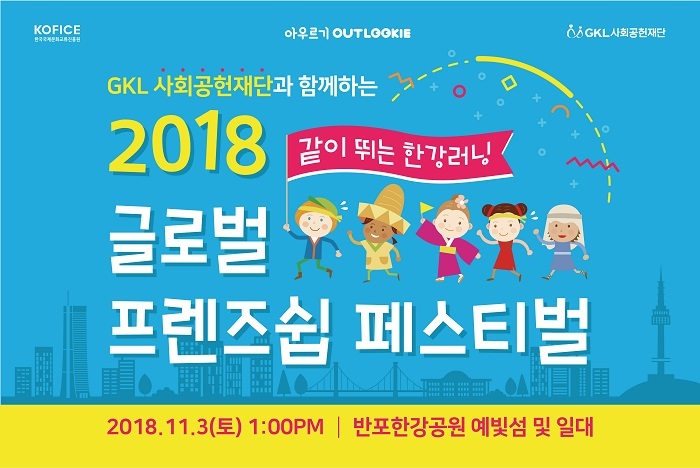 Event introduction: The 2018 Global Friendship Festival, “The Han River Running Together,” is a venue for exchanges that promote friendship and harmony with foreigners and spread global values to ordinary citizens so that everyone can become one culture. – Celebrations, after parties (multicultural performances, non-verbal performances, indie bands ,running by people around the world, the multi-cultural experience booths and after parties. The Asia-Pacific Film Festival (AISFF), the largest international competition film festival in the world, will be held on November 1, 2018 at the 6th Cincube Gwanghwamun and CGV Piccadilly. The Asiana International Short Film Festival, which started with the world’s first “In-flight Film Festival,” is based on a stable and substantial film festival that celebrates its 16th anniversary this year. * See the website for detailed performance and program information. Event introduction: It provides information on traditional tourism activities such as event introduction hotel industry, travel industry, and MICE business, and tourism business, as well as overseas job placement, as well as the establishment of tourism venture. Jobseekers are offered job opportunities by securing a wide range of jobs and employment information, while job seekers can promote companies and meet a variety of talented people, and ordinary people can check information and trends in the tourism industry.